This set contains everything you need to make a tiny tag book filled with lots of love. 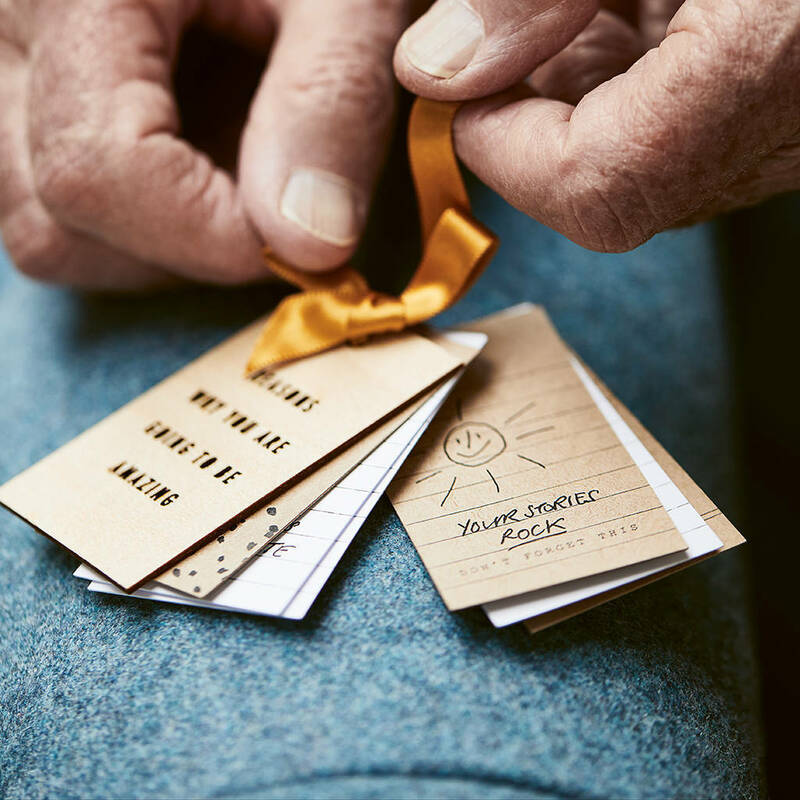 Fill out the pages with special messages and notes, tie it up with ribbon and pop it back inside the gift box ready to give to the one you love. 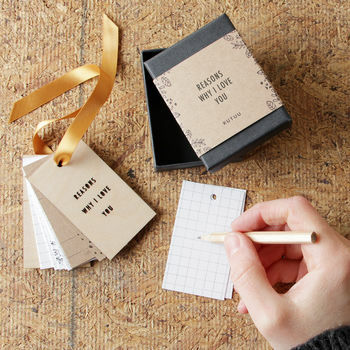 Inside the gift box you will find a wooden "reasons why i/we love you" front cover, a plain wooden back cover, a mixture of 15 printed pages, 1 length of ribbon and a mini pencil. The sleeve reads "reasons why i love you" or "reasons why we love you". This mini book makes a lovely token gift for many occasions such as a first anniversary which is traditionally paper. Covers and pages measure 4x7cm and the ribbon is 30cm long.